Auckland New Zealand is the largest Polynesian city in the world, a vibrant city that curves its way around the shores of the Hauraki Gulf. Known as the ‘city of sails’ because of the masses of yachts that grace its waters; their white sails catching the wind can be seen everywhere from sailing under the Harbour Bridge to heading across the bay to one of the many enchanting islands. New Zealanders have a passion for sailing and some of the most famous sailors in the world were born in ‘the land of the long white cloud’ as it is known; like Sir Peter Blake and Russell Coutts and many, many more. 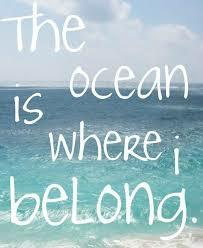 I had the privilege of learning to sail in these waters and was taught by a famous boat designer, Alan Wright. 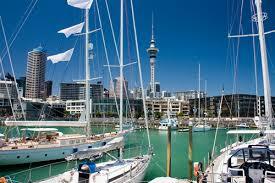 Auckland New Zealand's main attraction for me was the Hauraki Gulf with its many islands to sail to and explore. There’s an incredible 1.2 million hectares of coast and islands in this region. 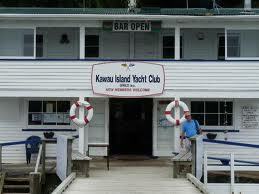 This is one of my favourites is known as the ‘jewel of the Hauraki Gulf.’ I loved to go ashore and spent hours in its many craft and art galleries, its unique cafes and on its golden beaches. 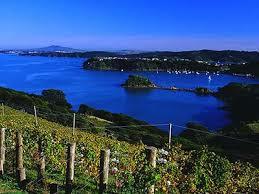 It’s a haven for 30 boutique vineyards and of course how could I resist sipping on the award winning wines. 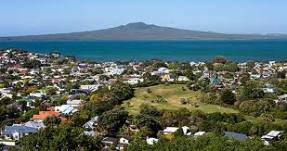 Sailing the Auckland New Zealand waters you will not miss Rangitoto Island, an iconic volcanic island and scenic reserve which stands proudly in sight of the main city and can be seen from most waterfront suburbs. It is a popular destination for bird watching and hiking which provide you with spectacular panoramic views and just one of many interesting islands I had the pleasure of sailing amongst. 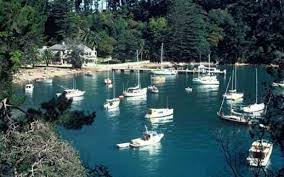 I spent a lot of time sailing to and around mainly anchoring at beautiful Mansion House Bay or further round by the Yacht Club depending which was the most sheltered. Swimming and exploring, meeting up with friends on other yachts as it is a popular place for Sailing Clubs to meet after a fun race. As a member of the Gulf Harbor Sailing Club we had some great parties at the end of a fun race, and a crazy Christmas party on the shore of its quaint Yacht Club. Great Barrier Island is 90 K from Auckland New Zealand is one of the most tranquil and unspoiled places you’ll ever visit. 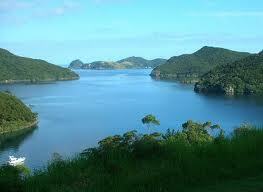 Bays that are so breathtakingly beautiful with high hills all around you and crystal clear waters with great anchorages. You can explore the forest trails and secluded hot springs, one bay even had an old bath in a tin shed with a wood water heater … must have been for the yachties we certainly used it. The largest settlement on the island is Tryphena on the west coast. I found this a good place to shelter in a storm that came through from the ocean. There are many picturesque beaches and bush walks and places to just enjoy nature at its best. These are just a sample of my favourite islands and there are many more. When you want to get back to civilization and into the heart of things set sail for the city and anchor off one of the many bays or find a berth at Whitehaven Marina. The city is diverse with some trendy shopping areas, open air markets, a boutique range of cafes and restaurants with a buzzing nightlife. A place not to be missed is Viaduct Harbor you will find it fascinating with its sleek super yachts and the Voyager Maritime Museum. The museum traces the arrival of the 1st Polynesian migrants right through to its modern day yachting success. 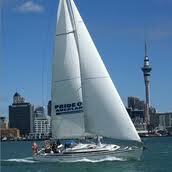 So whether you prefer to explore the magnificent waterways sailing the Hauraki Gulf, ….. which could take a lifetime or do a bit of exploring around Auckland city this is a destination not to be missed. This is where my sailing story began and where I purchased a yacht that took me on some amazing adventures.